ICOMOS International Cultural Tourism Committee (ICTC) President Susan M. Millar arrived in Manila last night for the ICOMOS International Cultural Tourism Conference and 2012 ICTC Annual Meeting that will be held next week in the Historic Town of Vigan, a UNESCO World Heritage Site. 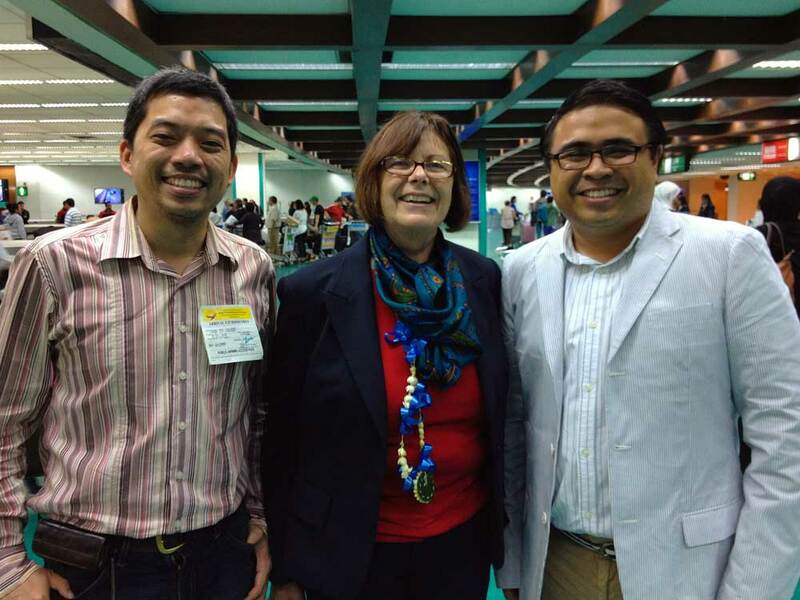 She was met at the airport by ICOMOS Conference Chair Ivan Anthony S. Henares (right) and Co-Chair Ivan Homer U. Man Dy (left).